Psalm 32 (31 Vulg.) seen on the choir stalls of an old church in northern France during a cycling tour. Click on image to expand and see the familiar refrain and chanting tone arrangement with variations. Psalm 32 is one of the psalms of penitence — this theme takes up the first half of the song — but also of refuge: “You are my hiding-place” (vv. 6 -7). Then it changes direction, breaks into other riffs of guidance or wisdom (8-9) and finally circling back to the initial theme of thanksgiving. Throughout, a strong sense forgiveness after error is a cause for rejoicing. Psalms for all seasons suggests You are my hiding place, which many groups will enjoy. Together in Song offers a very traditional 17th century hymn How blest are those, TiS 20. Orlando di Lasso, Dixi confitebor, verse 5 only; starts simply but becomes more complex; excerpt shown in the illustration. 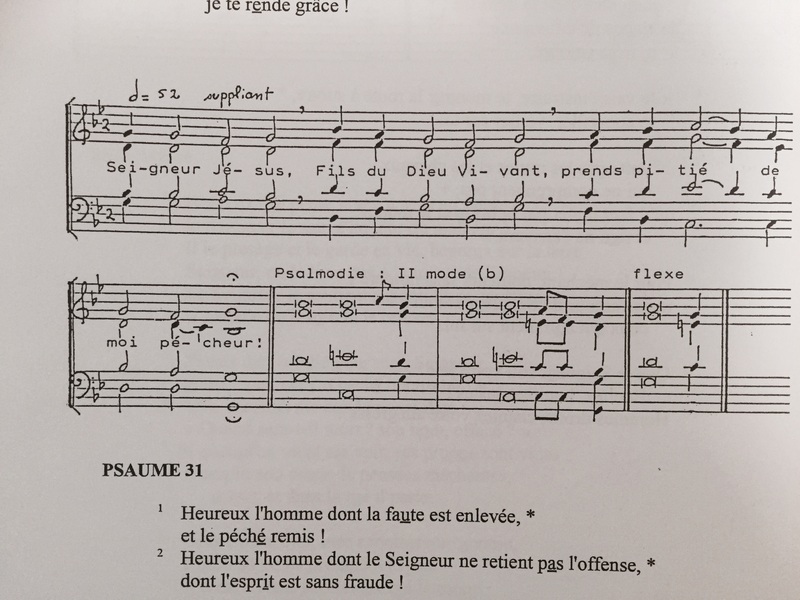 Readers may recall that Lassus wrote a famous and impressively ambitious set of Penitential Psalms with one motet per verse. Thomas Tomkins, Blessed is he, verses 1 and 2. Will be there Brendan. Lyn G.